Now choose your external hard drive (usb device) and right click on uninstall. Hard drive will be uninstalled. Unplug the usb device. Just wait for some time and connect the USB device. You will see that driver is automatically loading. Now open the window explorer and check that your USB device is displayed or not. Go to Start>Search box, type windows update. You will get result with windows update click on it. After checking updates click on review optional updates. Now check the boxes of updates and click on install updates. Click on "i accept..." For license agreement. Now download and install the updates. Sometimes problem is due to usb controllers . Go to start > search box , type device manager. Expand universal serial bus controllers. Right click on the device and uninstall it. You have to uninstall each device. Now your USB controller will be reinstalled automatically. Go to start> search box, type "power plan"
Click on plugged in and select disabled from drop down menu. 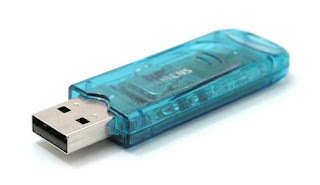 In this way you can solve the problem of USB device not recognised.